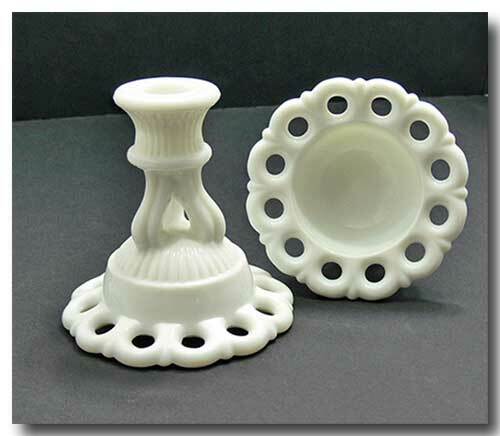 WESTMORELAND 'DORIC LACE' MILK GLASS CANDLE HOLDERS. 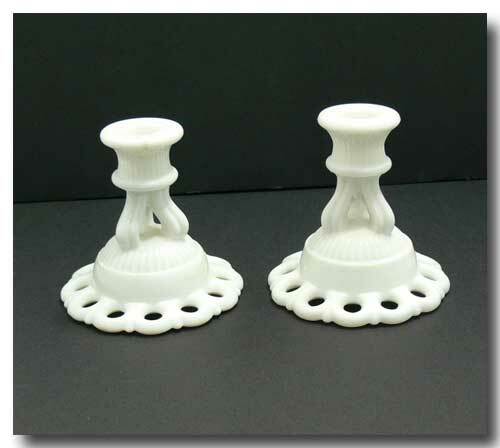 A PAIR OF MILK GLASS CANDLE HOLDERS FROM WESTMORELAND CO. IN THE DORIC LACE PATTERN. 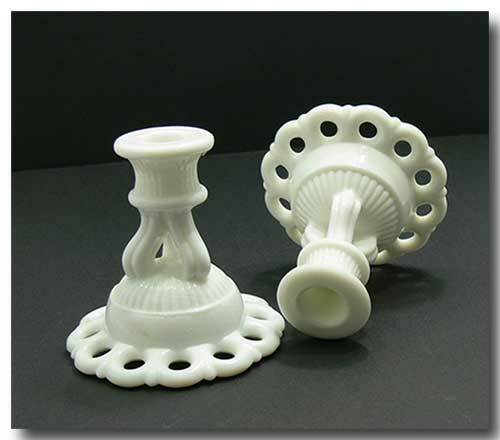 HOLDERS ARE IN GREAT CONDITION WITH NO CHIPS OR CRACKS.